Breitkopf & Härtel is the world's oldest music publishing house. The firm was founded in 1719 in Leipzig by Bernhard Christoph Breitkopf. The catalogue currently contains over 1,000 composers, 8,000 works and 15,000 music editions or books on music. 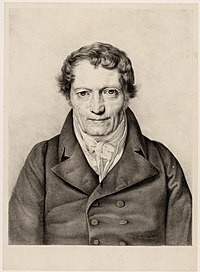 The name "Härtel" was added when Gottfried Christoph Härtel took over the company in 1795. In 1807, Härtel began to manufacture pianos, an endeavour which lasted until 1870. The Breitkopf pianos were highly esteemed in the 19th century by pianists like Franz Liszt and Clara Schumann. In the 19th century the company was for many years the publisher of the Allgemeine musikalische Zeitung, an influential music journal. The company has consistently supported contemporary composers and had close editorial collaboration with Beethoven, Haydn, Mendelssohn, Schumann, Chopin, Liszt, Wagner and Brahms. They also published the first complete works editions, for instance the Bach-Gesellschaft edition with the works of Johann Sebastian Bach, the Alte Mozart-Ausgabe with Mozart's works, and Schubert's Franz Schubert's Werke. This tradition continues today with prominent contemporary composers. The firm was on the board of directors of the Händel-Gesellschaft in 1858. Archival materials of the publishing house form the fonds 21081 Breitkopf & Härtel, Leipzig, in the Sächsisches Staatsarchiv, Staatsarchiv Leipzig (see Thekla Kluttig: Nur Briefe berühmter Komponisten? Archivgut von Leipziger Musikverlagen als Quelle für die Musikwissenschaften, in Die Musikforschung 66 (2013), Heft 4, p. 391-407). ^ Adelmann, Marianne (1974). Musical Europe: An Illustrated Guide to Musical Life in 18 European Countries. Paddington Press. p. 252. ISBN 978-0-8467-0031-9. ^ Rehding, Alexander (20 July 2009). Music and Monumentality: Commemoration and Wonderment in Nineteenth Century Germany. Oxford University Press. p. 246. ISBN 978-0-19-988889-4. ^ Görner, Rüdiger; McLaughlin, Carly (2007). Mozart -- a challenge for literature and thought. Peter Lang. p. 161. ISBN 978-3-03911-177-0.